Needing to practice at odd times and in odd places over the years (and the absence of a suitable mute) was the reason Trevor Bremner designed the sshhmute. In development over several years in his New Plymouth workshop, the sshhmute is at long last in full commercial production and has been successfully launched to answer a market need for an effective mute in a price range to suit budding musicians and professionals alike. The sshhmute is made from lightweight, yet hard-wearing, ABS plastic with no parts to break or fall off. These are ideal for using in a home environment, when you need to be considerate to others with the volume output, or in a pre-performance situation at an event where you need to warm up quietly. Perhaps one of the primary benefits of the sshhmute design is the very small amount of back-pressure it creates. This allows for better air supply, while still opening and developing the throat muscles. The mute also remains in tune and faithfully accurate throughout the entire range. I bought one of these when they first came out & have taken it many places. 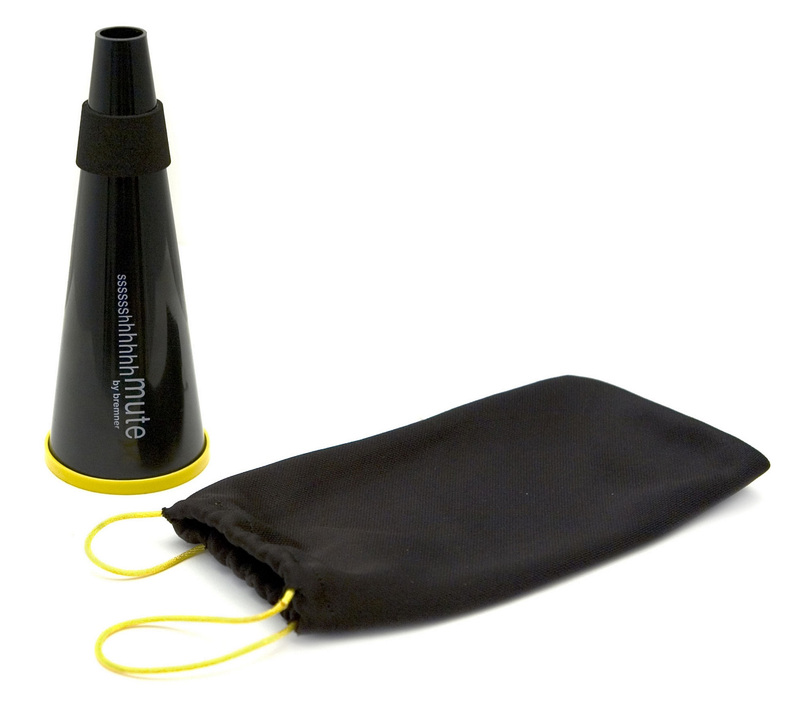 This piece of kit is great to use for warm ups before concerts & unlike other practice mutes it doesnt lose tonality just alot quieter. Well worth purchasing.